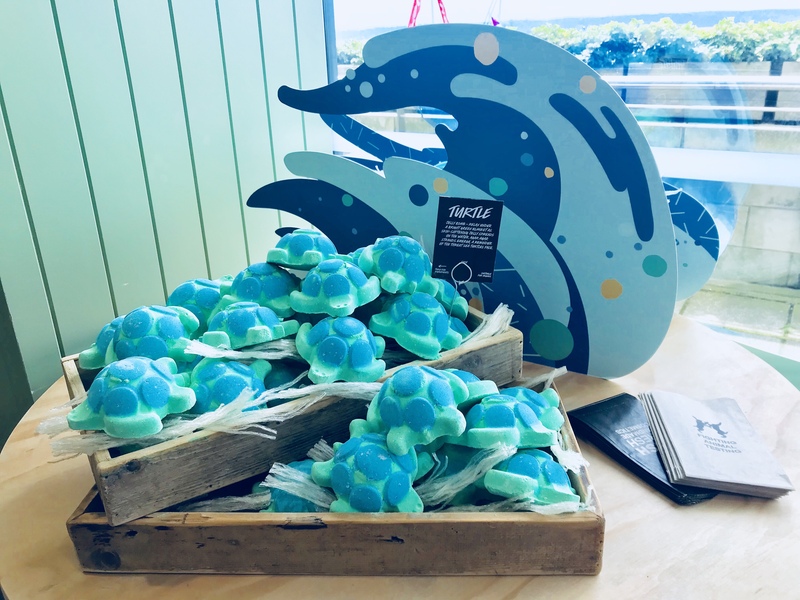 I first saw this exclusive at the Lush pop up store at the head office in Poole in the summer. At the time I didn’t pick it up and I really regretted not nabbing this cute addition to the jelly bath bomb range. 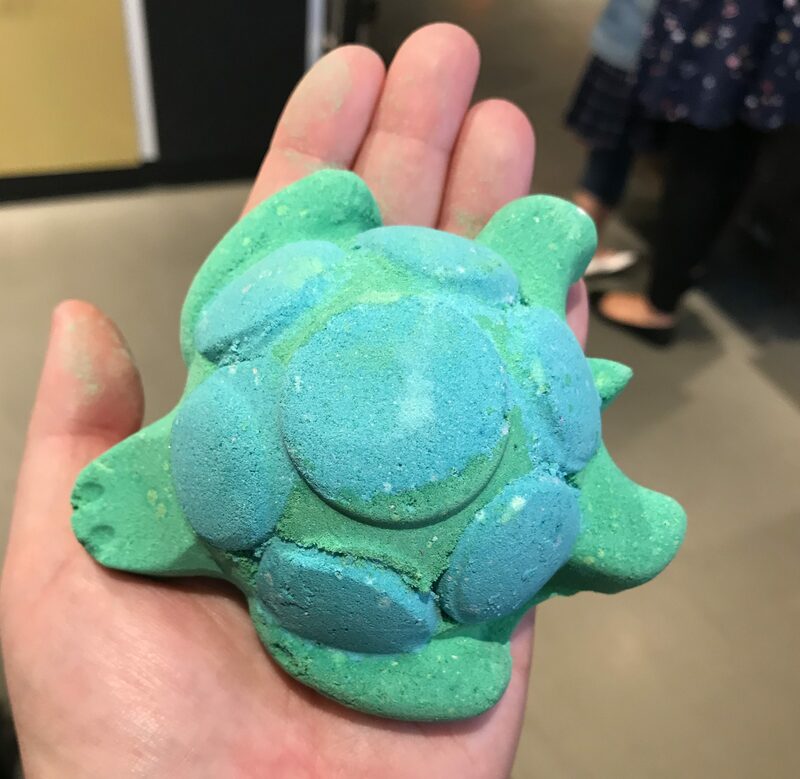 Thankfully the turtle became available in the Lush shops so I picked one up from the Bournemouth store and took my adopted turtle home. I released my turtle back into the wilds of my bath tub and watched as it turned the water bright green! It was fizzing about and out of the bath bomb agar agar strands started popping out bobbing about on the surface. 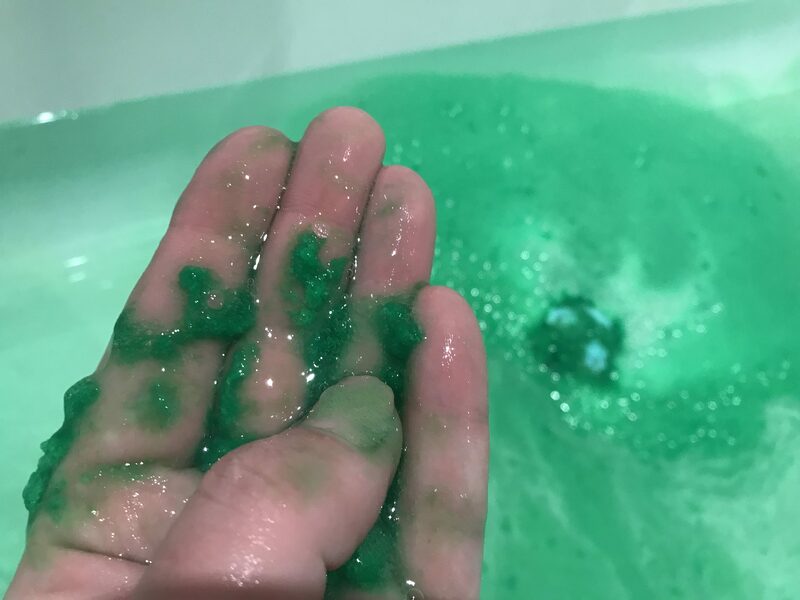 Little green moisturising lumps floated around my legs as I stepped into the bath, it was such a bright green that I couldn’t help but wonder if I’d come out looking like the Incredible Hulk or that witch from Wicked. Thankfully I came out just as pink and pale as I went in! I didn’t realise the jelly added a slightly thicker consistency to the water which makes it feel soft and nourishes the skin. My skin felt lovely after this bath, there’s something in it that leaves your skin moisturised and velvety. I was also at the tail end of a cold and the pine smell was so comforting, it felt fresh without being overpowering. It also made me feel so clean after feeling ill, achy and a bit grotty. I came out of that bath feeling so much better! 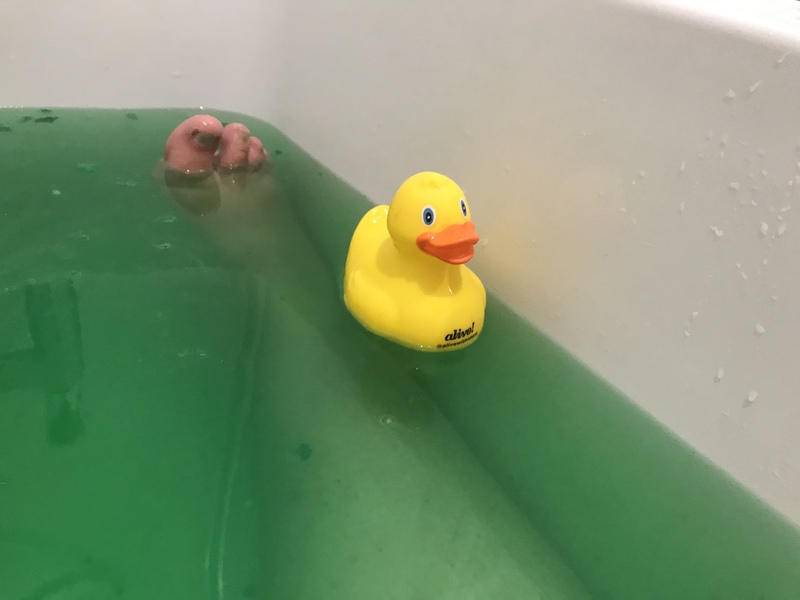 Turtle Immersion is my first jelly bath bomb from Lush and what an experience – it’s definitely made me appreciate having a bath more. Historically I’m not a big bath fan because I fidget and struggle to sit in a bath. 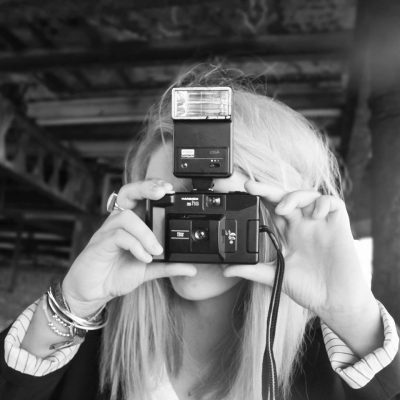 I’m so out of my comfort zone, and where most people find it relaxing, I sit there wondering what to do with myself. Bath bombs help enormously as it makes it a much nicer experience, the products are beneficial to your skin and it’s a good way to have some time to yourself. Self care is so important and I’m learning to love taking a bath, with a book and cup of tea. Don’t forget the rubber duck! 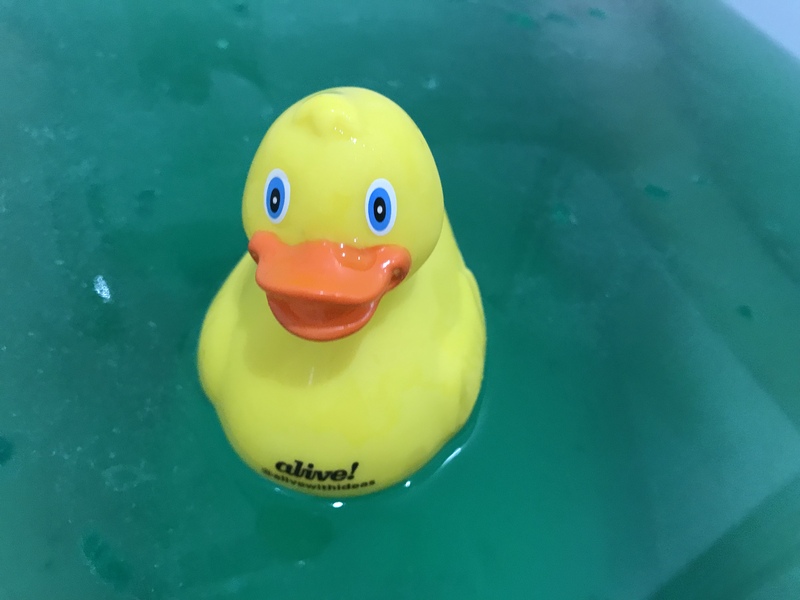 It’s a little slippery to get out once you’re done as the jelly tends to coat the bath a little but give it good rinse and a few sprays of white cleaning vinegar (thanks Mrs Hinch!) and it’s not an issue. 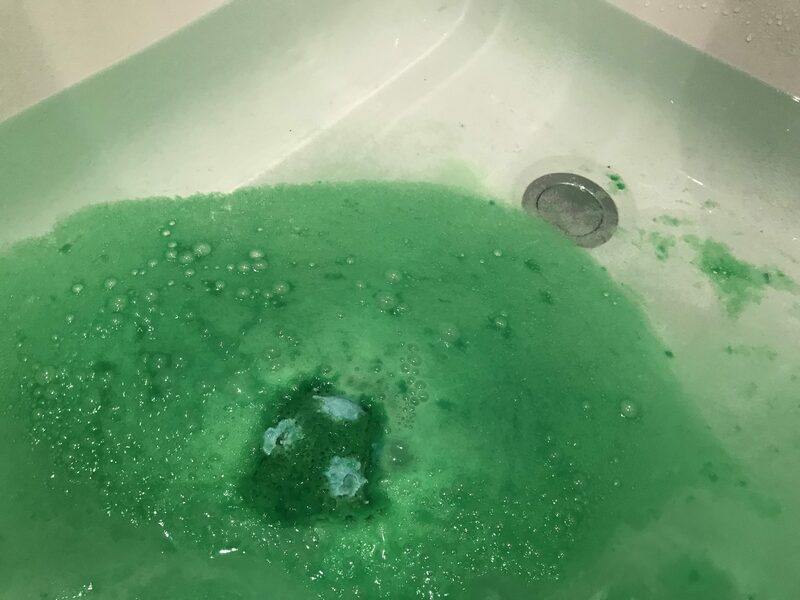 Even though it was bright green it didn’t stain my bath, it just left a few blobs of green that were easily washed from the side. 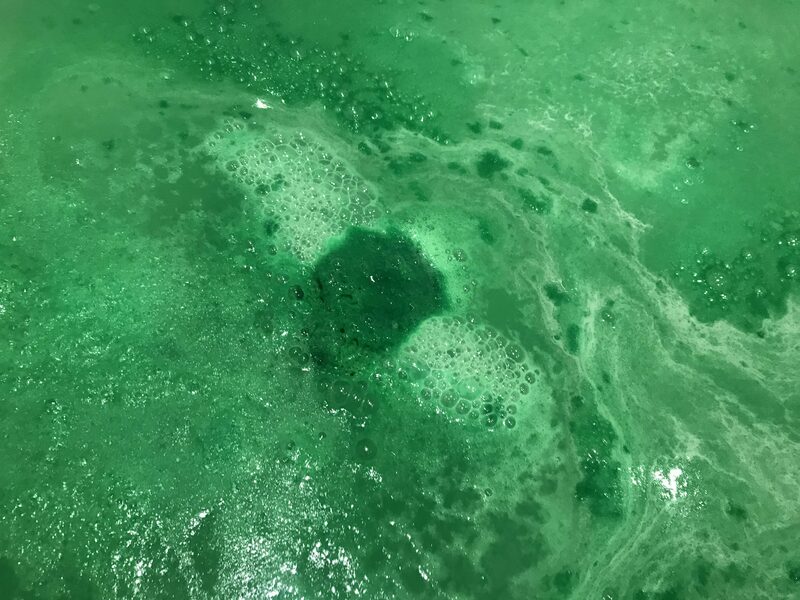 Soft, nourishing and pine fresh, this bath bomb made me feel like a mermaid as I sat in the bright green waters and relaxed. 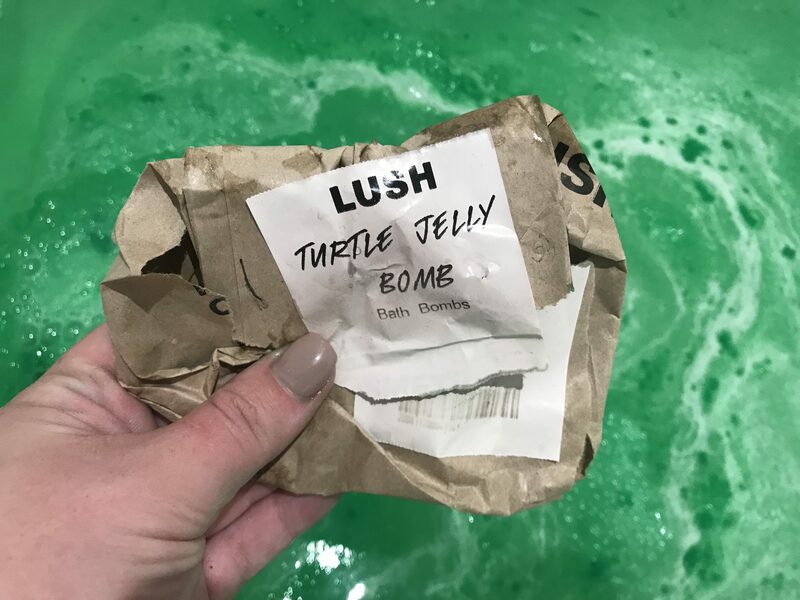 Big love to Lush for creating Turtle Immersion, helping me enjoy bath time more and giving my skin a turtley awesome boost! Now to find my next bath bomb to try – any suggestions?